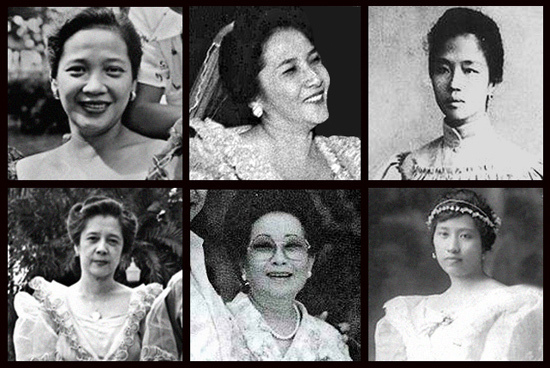 We list some of the women who've left their mark in Philippine history. They say that behind every great man, there stands a great woman. No one can epitomize this quote better than our Philippine first ladies—the women who stuck with the nation’s most powerful men through thick and thin. No matter how small their contributions were, they still once served as the country’s symbolic mother. Here are 10 of these women and some of the most fascinating facts you didn’t know about them. Hilaria del Rosario-Aguinaldo became the wife of Philippines’ first President at a time when the title “first lady” was still not widely recognized in the country. Hilaria lost her second baby while escaping capture by American soldiers. On March 6, 1921, she died of leprosy at the young age of 44. With the assistance of Apolinario Mabini, Hilaria founded the Hijas de la Revolution (Daughters of the Revolution), an organization which helped distribute food and medicines to wounded Filipino soldiers. Within five months, the group branched out into 13 additional chapters and was later renamed Association Nacional de la Cruz Roja (National Association of the Red Cross). As a result, Hilaria is considered today as the founder of the Philippine National Red Cross. 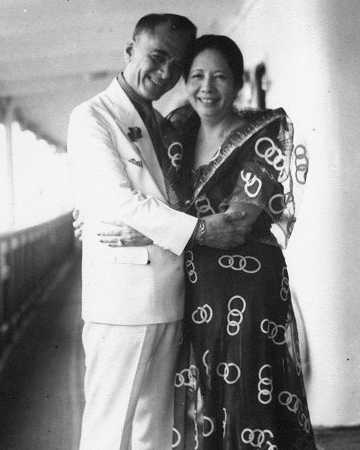 Atang de la Rama, also known in history as the first Filipina actress to appear in the movies, became Manuel Quezon’s “singing telegram.” She was hired and brought to Baler, Quezon to sing for Aurora as part of Quezon’s courtship. Aurora Quezon was the first Chairman of the Philippine National Red Cross. She held the position until her untimely death in 1949. 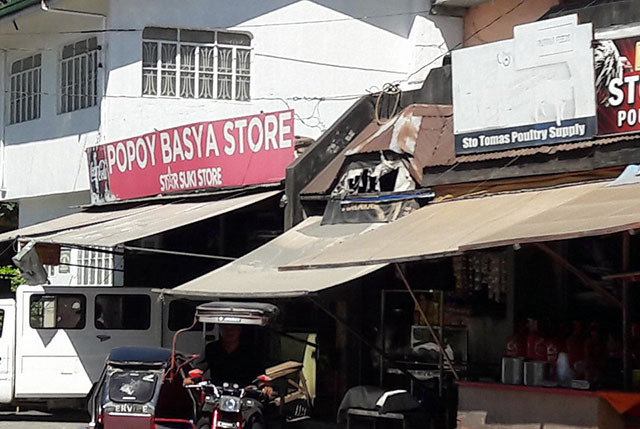 While on their way to Baler for the inauguration of the Quezon Memorial Hospital, Mrs. Quezon (along with her daughter, son-in-law and nine other people) was ambushed by a group of men believed to be members of the rebel group, HUKBALAHAP. Aurora Quezon was killed instantly. 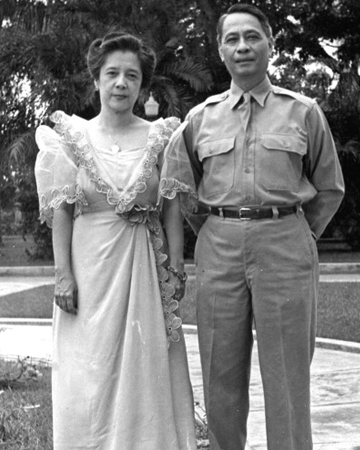 Paciencia Laurel was the first president’s wife to serve in Malacañang under the Japanese occupation during the World War II. 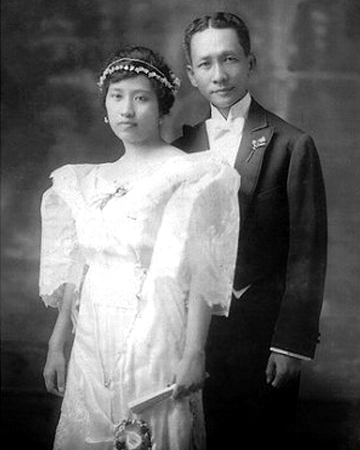 In April 1911, Paciencia married Jose P. Laurel who was three years her junior and a fresh high school graduate. 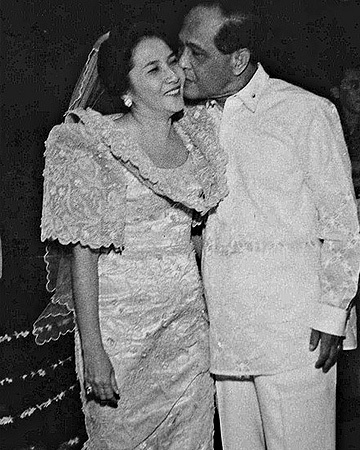 During her husband’s term, Paciencia refused to stay in Malacañang and preferred to remain at their family home in Paco, Manila. 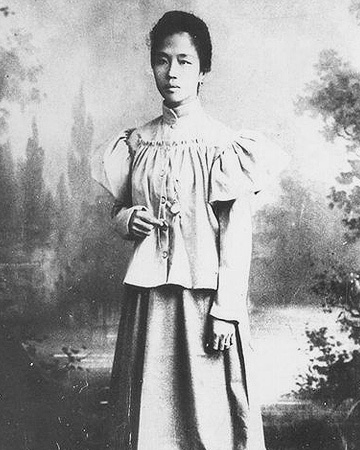 Esperanza Escolar Limjap was the daughter of Mariano Limjap, a Filipino-Chinese who selflessly gave his financial support for the Philippine Revolution. 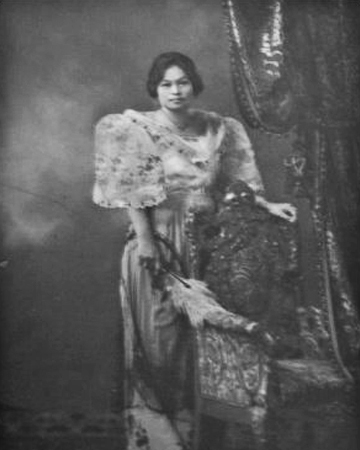 Esperanza was a runner-up during the 1915 Manila Carnival Queen. The beauty contest was the highlight of a two-week fair organized to celebrate the U.S.-Philippine relations. Esperanza’s older sister, Leonarda won the very first Manila Carnival Queen in 1908. However, she had to let go of the crown to join a family trip in Japan. Also known by her nickname “Trining,” then 19-year old Trinidad Roura de Leon was crowned Queen of the Orient at the 1920 Manila Carnival. She shared the crowned with an American named Virginia Harrison. It was the first time since 1908 that the event held a dual coronation. Trinidad has the unique distinction of having been a daughter of a senator (Ceferino de Leon), wife to a senator (then Senator Manuel A. Roxas), mother to a senator (Gerardo Roxas) and finally, grandmother to a senator (Mar Roxas). Victoria “Vicky” Quirino was only 16 when her father, then Vice President Elpidio Quirino, assumed the presidency after the death of President Manuel Roxas. 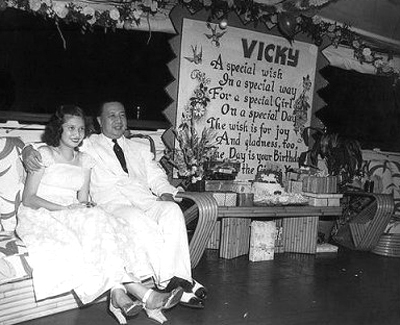 And since President Quirino lost his wife, Alice Syquia and three of his children during the Battle of Manila in 1945, Vicky served as his first lady. When she was only 19, Vicky tied the knot with Luis Gonzalez, a haciendero from Pangasinan. They were married on July 4, 1951. This event made Vicky the only first lady in history to ever get married during the president’s term. Vicky and Luis had four children. One of them was Louie, their only son who later married Kuh Ledesma, a famous Filipina singer. 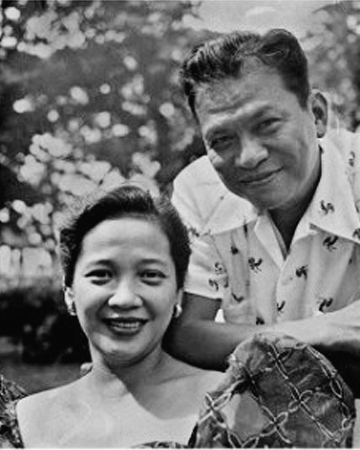 Luz Banzon was the daughter of a wealthy family from Bataan who were already good friends with the Magsaysay family even before the couple first met. Known as “Inday” to her friends, Leonila Dimataga-Garcia was a licensed pharmacist. 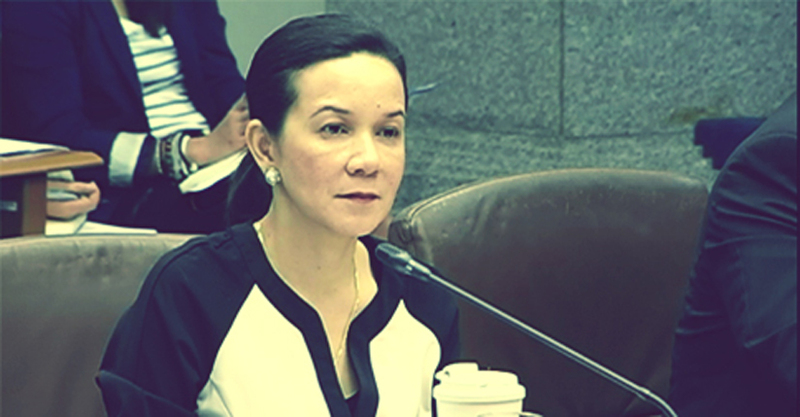 She earned her Bachelor of Science degree in Pharmacy from the University of Santo Tomas. Leonila met the young lawyer Carlos P. Garcia while working as a pharmacist in Bohol. The two married on May 24, 1933. 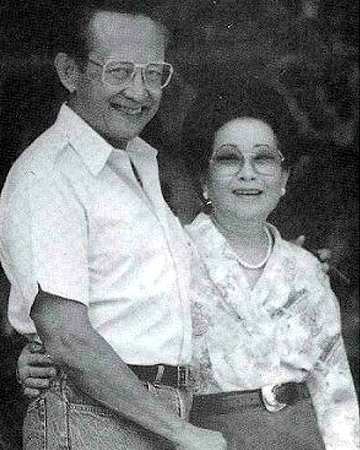 According to the book Carlos P. Garcia: Radiant Symbol of Filipinism: His Life and Labors by Gregorio C. Eronico, Leonila became the late president’s “lucky star” because their marriage signaled the start of his long, fruitful political career. Leonila and Carlos had only one daughter named Linda Garcia who later married Fernando Campos and gave birth to the president’s first grandchild, Maria Carla G. Campos. Eva Macapagal was a licensed physician and was once crowned Carnival Queen in the 1930s. During her husband’s term, Eva Macapagal led an extensive housecleaning of the Malacañang Palace which, according to some, symbolized the administration’s effort to eliminate graft and corruption. As president of the Philippine Badminton Association, former First Lady Ming Ramos served a key role in popularizing the sport in the country during her term. A certified sports enthusiast, Mrs. Ramos admitted that she participated in a total of 20 different sports in her prime. 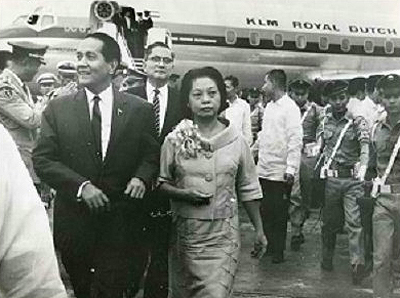 Read the full article, "34 Facts You Didn’t Know About Philippine First Ladies" on Filipiknow.net. Minor edits were made by the SPOT.ph editors.